As you have probably heard, ‘JDM’ stands for ‘Japanese Domestic Market’ in the tuning world and refers to that country’s car customization practices. Honda, Nissan and Toyota cars are among those most often selected for JDM-style tuning projects. Nevertheless, exceptions happen – just take a look at this quasi-Japanese BMW M4, for instance. Why ‘quasi’? Because most of the body kit you can see here stems from the U.S.-based car atelier PSM Dynamic. This includes the fender flares, the front spoiler and the aggressive-looking diffusor. Those countless minor carbon details are pure JDM, though. As you may see, the car also boasts a massive APR Performance rear wing, 20-inch MV Forged VLS rims aligned perfectly within their arches owing to an air suspension, and AP Racing brakes with their supports painted red. The entire vehicle, including the aero parts, wears the iconic Yas Marina Blue paintjob. Inside, there are lightweight carbon Recaro Sportster CS seats with Sabelt belts, an M Performance steering wheel, and a StudioRSR Tesseract roll cage. The latter necessitated removing the back seat row, so the car is now a two-seater. 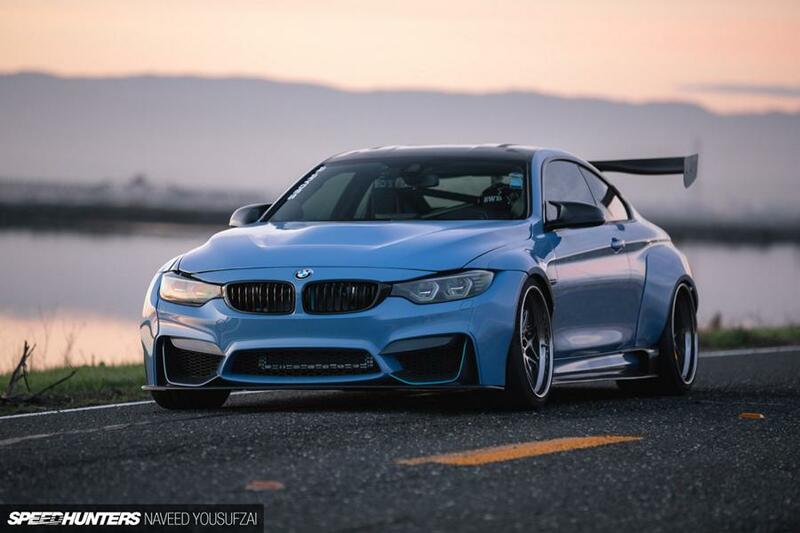 Finally, this particular BMW M4 had its engine output boosted to a magnificent 700 hp (522 kW).